Got a big night coming up? Looking for laces that will make an instant impression? We firmly believe that there’s more than one way to make an entrance. Sure, you could abseil down from the ceiling, arrange a private jet or arrive on the back of an elephant, but all of those options cost much more than $3.99. Here at Feetunique we’re all about making bold statements with your feet. Why literally kick the door down when your laces can (figuratively, of course) take it off its hinges? These red laces do exactly that, revitalizing tired trainers with a vivid shade of scarlet that’ll get your kicks noticed in no time. As a color, red has a pretty mixed reputation. Sure, it’s the color of danger, but that’s not always a bad thing, right? Red is unpredictable. Red is excitement. Red screams out that this is where the action is. 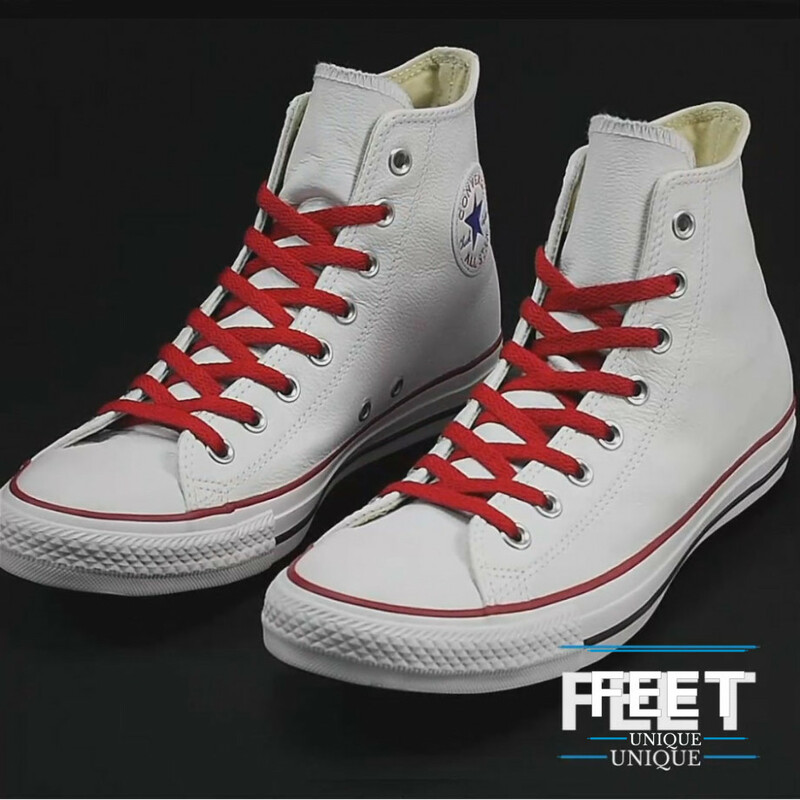 These bright red laces contrast perfectly with black and white trainers, and the more adventurous shoelace connoisseur will be able to craft up some devilish combinations with greens, blues and grays. So you get the idea. Our flat red shoelaces are loud and proud. They are in your face and not for the faint-hearted. Perfect.